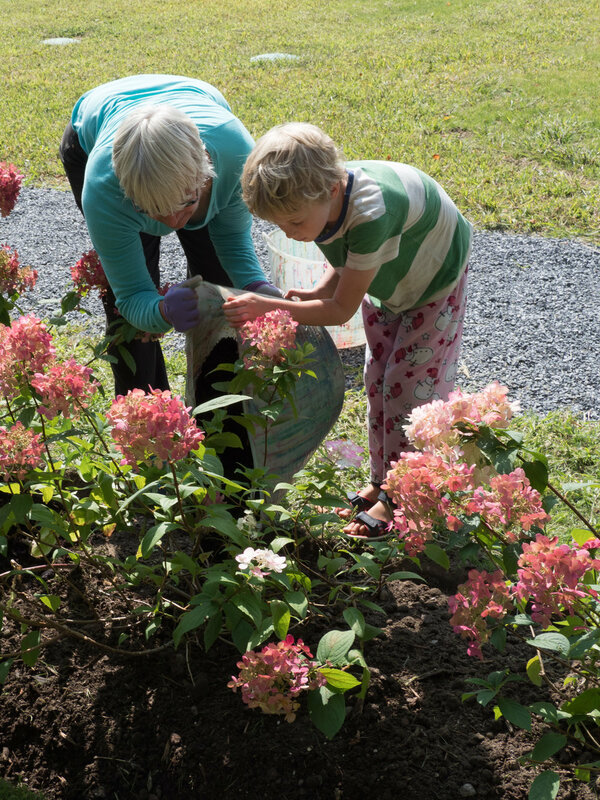 Welcome to Bristol Village Cohousing! Bristol Village Cohousing is a community of 14 households, located in the village of Bristol, Vermont. Construction is complete, families have moved in, and only one unit remains available for purchase. The Peake House - a 3800 sq ft common house, available to all residents, for group meals, fun and educational activities, meetings and celebrations. A central location in a small village, walking distance from most of your daily chores – shopping, restaurants, schools, the post office – even the gym and yoga studio. The bus stop to other nearby towns is a block away. The LINK commuter bus goes to Burlington daily. 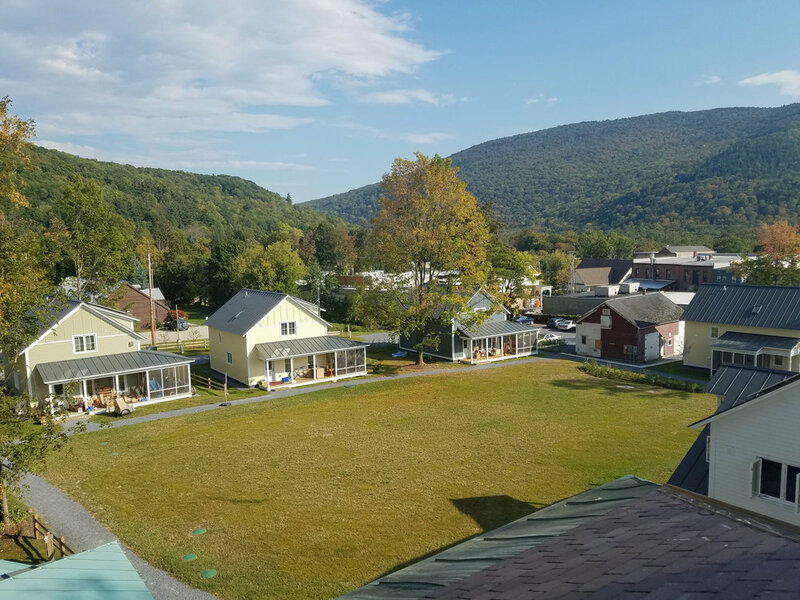 Proximity to cultural and outdoor recreational facilities, both in the immediate area and the nearby college town of Middlebury. Mulching the flowering plants that line the path. Don, Mark, and Rick remodel our storage barn. Mollie and Sadie are all smiles in their new home. Cohousing members have the opportunity to share meals prepared in the Peake House kitchen once a week or more. The Italianate Peake House built in 1863 is co-owned by residents of Bristol Village Cohousing. Planting the rain garden designed by Katie Raycroft-Meyer, our landscape architect. The cottages are energy efficient and the community employs rooftop solar.